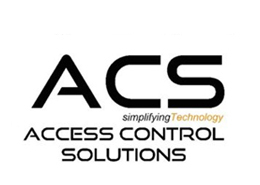 Access Control Solutions (ACS) was officially started back in 2000 with the sole purpose of providing “simplified” electronic systems solutions to complex commercial organization problems. Far exceeding those original expectations, ACS is now working with some of the top companies in the U.S. including SAIC, Comcast Cable Systems, TVA, Ad-Tran, Davidson Technologies, Digium, etc. They have over 40 years of combined experience and have truly revolutionized the electronic systems integration business model. As technology has progressed, most systems are programmed and/or controlled by TCP/IP network technology. Many high-voltage systems (lighting, HVAC, etc.) are now being controlled by TCP/IP network technology as well. Most system integrators focus on certain electronic system niches and have limited network system or high-voltage knowledge. ACS has developed a revolutionary system of balanced integration of all complex low-voltage electronic systems, TCP/IP network technology and high-voltage electricity (via on-staff licensed electricians). This balanced comprehensive approach has positioned ACS for explosive growth going forward. Let ACS provide you with creative solutions to all your security and electronic system needs.